After encountering this professor who I hold with high esteem, has taught me that those who have genuine confidence do not hide when they are stripped naked both literally and figuratively. 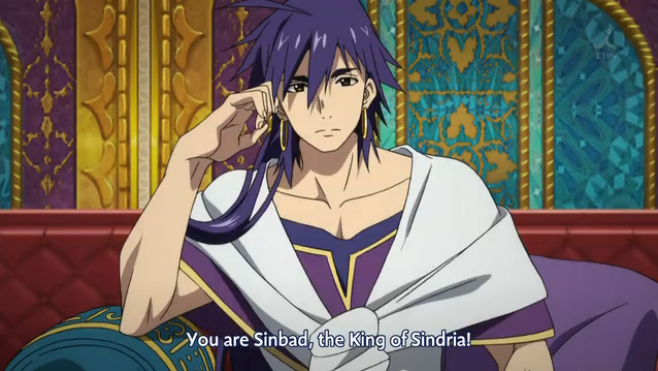 Sinbad from Magi is the perfect example of perfect confidence even when he has nothing on him except for a leaf. Sinbad was robbed by thieves with nothing left, not even a piece of cloth to cover his private area (all he had was a leaf). Yet, he comes out from the woods with his arms wide open and a carefree tone indicating openness to others yet firm in his conviction. 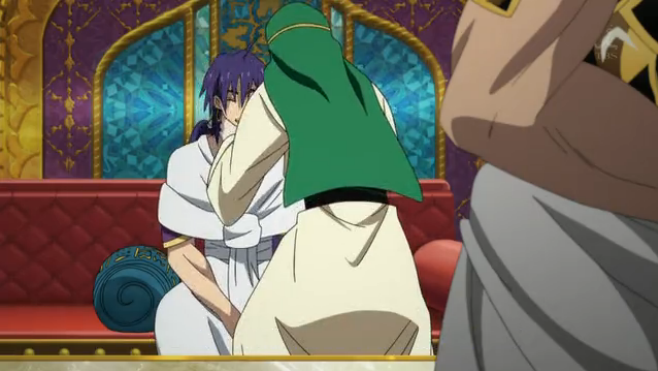 If you think about it, most people would find any means possible to cover themselves up if they were in the same situation as Sinbad. They are desperate to hide their bodies as the embarrassment boils up from within. They lack the confidence to hold their naked bodies with pride and love that they should have for themselves. Instead, they might have simply stayed behind a bush and not have done what Sinbad had done, walking out in broad daylight and with nothing to hide. Sinbad having no fear or embarrassment arise while being in such a state is an sign of the confidence that he has obtained. It is not the confidence that most of us believe what confidence is. He is at peace with himself and the world. He truly loves the world and all things in it for what they are and is accepting of them; however, it does not mean that he allows the poverty and resentment but that he accepts it as a fact that it is a reality of this world. 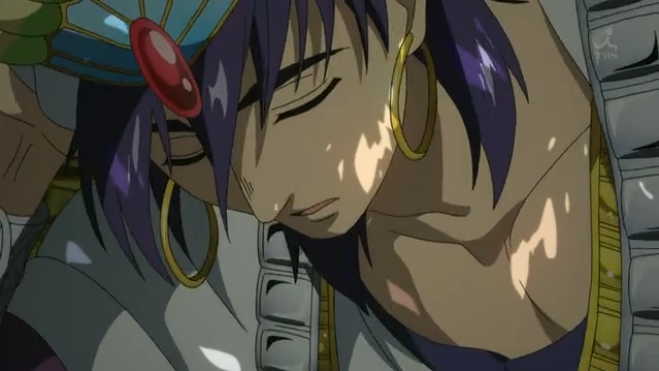 Jafar had mentioned about the scars that Sinbad have had carved in him and the burdens he is carrying. I can only imagine what he has to be responsible for as the king of a country in charge of so many citizens all the while heading an alliance. He does not allow those scars to stop him from accepting others as shown with him wanting to join the Fog Troupe. His openness is evident as he listened to the reasoning the Fog Troupe had for their actions. As their reasoning made sense to him and resonated with is morals and beliefs, he did not hesitate to join the Fog Troupe. Sinbad’s confidence is in the fact that he makes his own decisions from the knowledge he has on hand and does not allow previous obligations or expectations from others to influence his decision. Even though he had made a promise to King Abhamd to capture the Fog Troupe, there is no hesitation in switching sides when he learns of the purpose and cause for the Fog Troupe’s existence. In the end, his virtues and charisma overpowers his flaws, which lead others to admire and adore him. He accepts himself for all he is and understands what it is that he wants. People tend to believe or make others believe that they have confidence but they do not fully accept themselves. They are constantly finding fault with their appearance, bodies, and abilities and putting on an act of confidence as if such an illusion would hide their fears and insecurities from the world; this is the difference between others and Sinbad. He has a genuine and tender heart yet he is firm in his resolve and his ideals that he would never betray himself and his own beliefs.